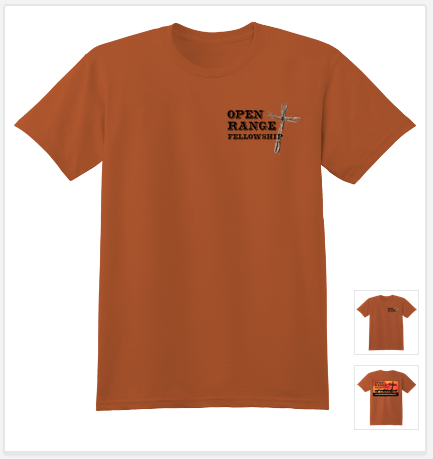 Let others know where you have so much fun with your church family every weekend! Now you can order your own customized t-shirts, sweatshirts, or zippered hoodies for you or your kids! Orders as small as 1 item will be processed, then shipped directly to you ASAP. 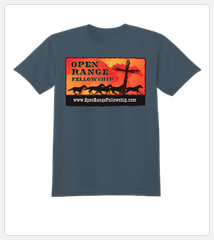 Every item you purchase from our SellMyTees partner credits $5 towards the ministry efforts of Open Range. This is another way you can help support international missions, youth group activities, Bible study support materials – many possibilities ! !